The Knesset discredited itself and cast an ugly blemish on Israeli democracy when, by a 2 to 1 majority (43–23), it passed a bill clearly designed to vindictively prejudice Israel’s largest circulating daily newspaper, Israel Hayom. The promoters of the bill displayed no shame at this unprecedented legislative breach of freedom of expression. On the contrary, in classical Bolshevik doubletalk, they had the sheer chutzpah to claim that they were promoting democracy. The legislation, proposed by Eitan Cabel, Labor faction leader, and supported by members of nearly all political parties, most notably by Yisrael Beytenu, sought to prohibit Israel Hayom from operating as a free newspaper. That freebies have become an accepted commercial vehicle throughout the world – especially in the United States and United Kingdom – in no way deterred them. Nor did the fact that, ironically, it was Cabel who was formerly responsible for the Israel Broadcast Authority and had been at the forefront of the campaign to use Israeli taxpayer funds to sustain Channel 10, the bankrupt left-wing TV station. While the initiative was indisputably orchestrated by Noni Mozes, publisher of Yedioth Ahronoth – which prior to the advent of Israel Hayom totally dominated the mass media – the behavior of the Knesset members promoting the legislation was utterly reprehensible. The reality is that Israel Hayom is indeed a center-right orientated paper, but undoubtedly it has more in common with the opinion of the vast majority of Israelis than any other newspaper. One of its prime contributors, Dan Margalit, unquestionably one of Israel’s most outstanding journalists, provides a daily column that is totally independent and frequently critical of government policies. As a regular columnist, I have found myself on the same page as Yossi Belin, who could hardly be described as favoring Netanyahu. But this is irrelevant. The Knesset is not the arena to give a kosher certification of a newspaper’s political orientation. 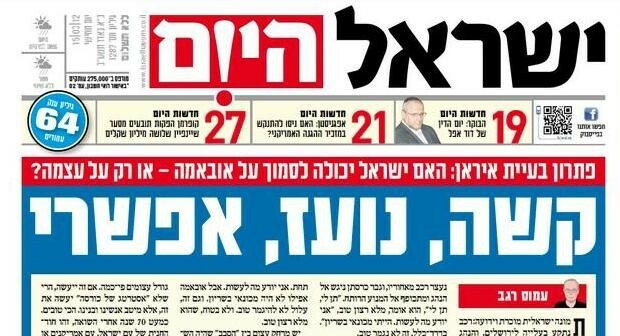 Nobody has initiated Knesset legislation to close down the far-left post-Zionist Haaretz, which many might claim represents one of the principal global vehicles disseminating anti-Israel propaganda. 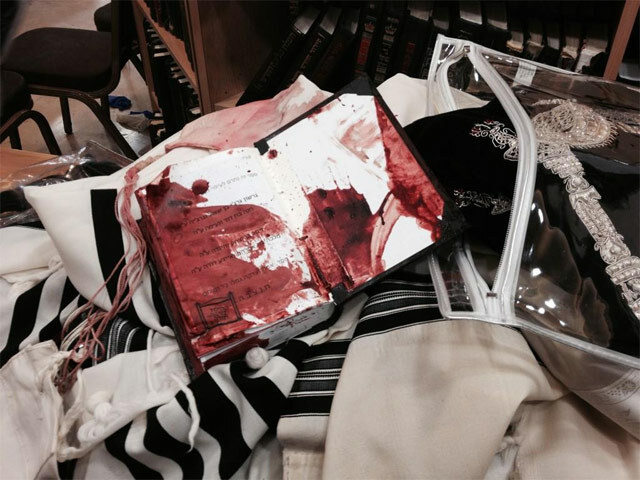 Freedom of expression, until now, was something that Israelis could boast about. But now a bill that makes a mockery of freedom of expression has passed a preliminary reading. Should it proceed further, it is almost certain to be rejected by the courts as unconstitutional. It should be noted that 80 percent of Israelis in repeated polls have consistently expressed indignation and opposition to this blatant effort to suppress a newspaper. Paradoxically, the support for this obnoxious legislation does not emanate exclusively from the Left, but from the entire political spectrum. .
How can the chairperson of the Labor party, Isaac Herzog, whose party continuously shrieks about the erosion of democratic values, possibly justify his support for this bill? On the other hand, to her credit far-left Meretz leader Zahava Gal-On, upheld the principle of freedom of expression by voting against. Yet how is possible that almost all members of Yesh Atid, Finance Minister Yair Lapid’s party, who comes from the world of journalism, and whose prime policy is to reduce the cost of living – supported the bill? But undoubtedly, the most unconscionable were those purporting to represent the national camp and who are members of the coalition who supported this bill in order to punish Netanyahu and receive personal endorsement from Yedioth. Prior to the arrival of Israel Hayom they were all justifiably complaining how the media was unrepresentative and consistently slanted to the left. Shamefully, Naftali Bennett, of right-wing Habayit Hayehudi, was one of the principal agitators against Israel Hayom because the paper had published articles critical of his policies. He was subsequently adopted by Yedioth. At the end, due to angry pressure from his constituents, he was compelled to abstain and the majority of his party voted against the bill. One of the principal driving forces behind the bill was Foreign Minister Avigdor Lieberman, head of Yisrael Beytenu, who effectively partnered with Cabel in the campaign against Israel Hayom. Lieberman portrays himself as a tough realist and continuously rails against Palestinian Authority President Mahmoud Abbas, describing as “delusional” those who consider him a moderate or a peace partner. Israel Hayom is effectively the only widely circulated Israeli daily newspaper that consistently reflects this view. So much for Lieberman as the tough guy who abhors political correctness. By promoting the bill, he shows himself as willing to sacrifice the interests of the national camp to pursue his personal interests and his vendetta against the prime minister. Unlike the other promoters of the bill, Yisrael Beytenu was the only party to impose party discipline on all of its Knesset members to support the legislation. Surely that says much about the political moral compass of Lieberman and the willingness of those in his party, like Agriculture Minister Yair Shamir and Tourism Minister Uzi Landau, to accept such diktats from their leader. This legislation will now proceed to the Knesset House Committee where it will be referred to the subcommittee – and probably effectively buried before the next elections. However, in the unlikely event that it graduates to a third reading, it is almost certain that the Supreme Court would cast a veto on constitutional grounds. But whatever the outcome, many Knesset members have behaved appallingly. Acting against the will of the overwhelming majority of their constituents, they promoted legislation that clearly breached the basic principle of freedom of expression and allowed themselves to be influenced by vindictive personal motivations. They have behaved like Bolsheviks and brought shame upon the Knesset and the nation. Sadly, it brings into question the integrity and motivations of Knesset members, not merely in relation to this bill but to all matters that they can influence. Their sickening performance should be taken into account by voters in the next election.